In your quest for inner peace and limber limbs, you may be spending a lot of face time with a yoga mat. But what is that squishy substance under your nose, knees and toes? 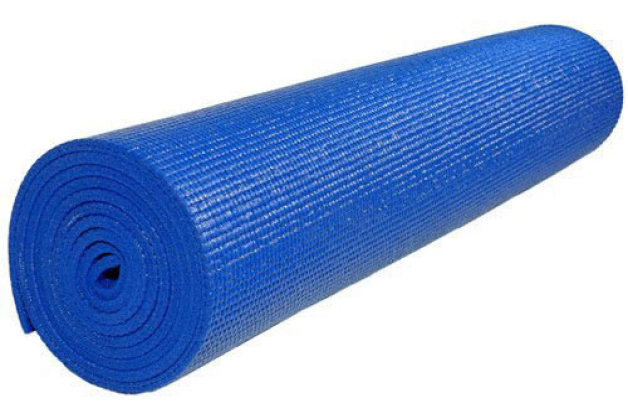 Almost all low-cost, cushiony plastic yoga mats are made of PVC (polyvinyl chloride), an environmentally contentious plastic often softened with hormone-disrupting phthalates. Those phthalates have been banned from children’s toys because of leaching concerns, but wouldn’t you know it, they’re perfectly legal in yoga mats everywhere but Denmark (where they’ll be banned by 2015, anyway). 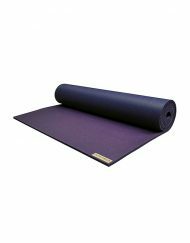 There are exceptions like Manduka’s top-of-the-line Pro series, which uses PVC that’s OEKO-TEX-certified not to leach certain baddies. 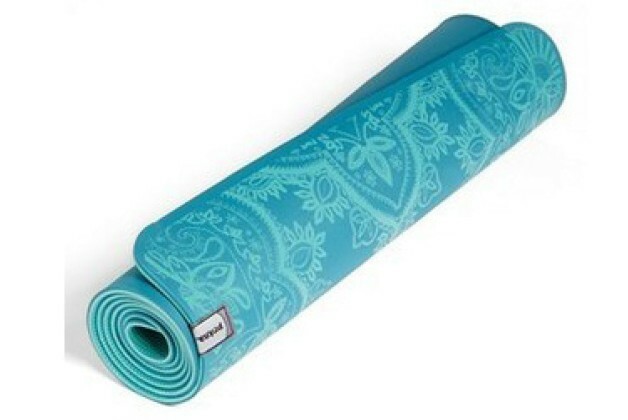 Manduka’s also very durable. One more thing: if your mat says it’s treated with antimicrobial Microban, make sure it’s free of eco-toxic triclosan before you buy. 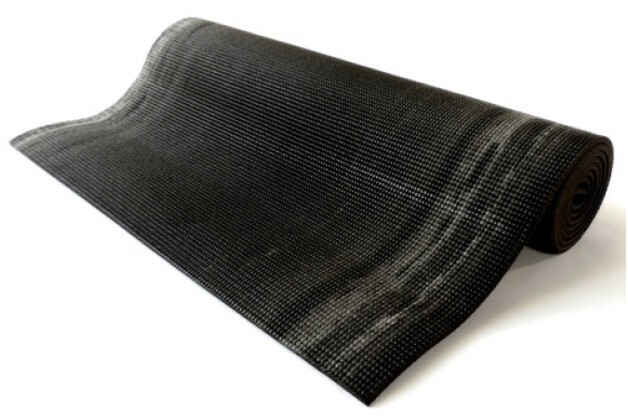 Scoping out an eco-branded mat that still looks and feels like the “classic” PVC kind? 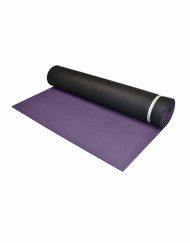 This yoga mat material can seem about as mysterious as the meaning of life, but do a little digging on polymer environmental resin and you’ll find it’s basically a cleaned-up PVC. Instead of phthalates, it uses acetyl tributyl citrate, considered a safer plastic softener; hence, it’s turning up in more nail polishes and cosmetics. On the other hand, PER is still manufactured with vinyl chloride, the component that’s made PVC so harmful to factory workers and the surrounding environment. Is it safer for health-conscious yogis? Yes, but it’s not much greener for the planet. Found in Bean and some Barefoot Yoga Co. mats. TPEs, thermoplastic elastomers, are touted as non-toxic, biodegradable, recyclable and phthalate-free, which sounds amazing. However, TPEs aren’t just one thing – they’re a class of synthetic rubbers. Some are styrene-butadiene-based (both compounds are human carcinogens, though it’s hard to say how much is released from mats), some are polyester-based, others plant-based, and the list goes on. Each deserves a different score. Many TPE mats are styrene-based, which suggests they’re not as biodegradable or eco-friendly as they claim. PrAna, Kulae and Hugger all offer TPE options. Ask what type is in the mat before you invest. PS: TPE users often complain the mats aren’t durable. 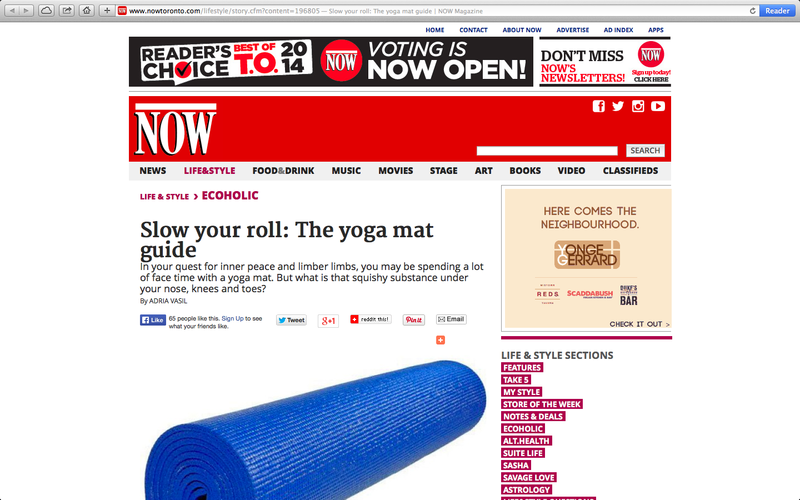 Like yoga teachers, rubber mats won’t all jibe with your vibe. Lululemon’s closed-cell rubber mats are pretty thin (3mm), slippery when wet and made with an undisclosed antimicrobial additive. Jade’s open-cell mats have more grip, more padding (5mm) and are made in the U.S. (rather than China). Also, a tree is planted for every mat sold (plus, an extra $5 goes to cancer research or autism when you buy one in saffron, pink or teal). Spongy open-cell rubber mats like Jade’s absorb more sweat so may require an occasional bathtub soak. Being biodegradable, rubber’s less durable than plastic, but it’s definitely gentler on the planet since it’s made of the sap of rubber trees. Heads up: these mats emit a rubbery odour (that wanes with time) but are 99 per cent latex-free. Yes, on a regular floor a hemp yoga rug is a bit like doing poses on a cartoon banana peel, but they’re a great mat topper for grippy natural rubber mats and the PVC mats at your yoga studio; this way you’re creating a bit of a barrier between you and offgassing odours or chems. Plus, they’ll absorb more sweat when the heat’s cranked. Rawganique has handwoven, sweatshop-free, organically grown European hemp yoga/meditation rugs (from $49). 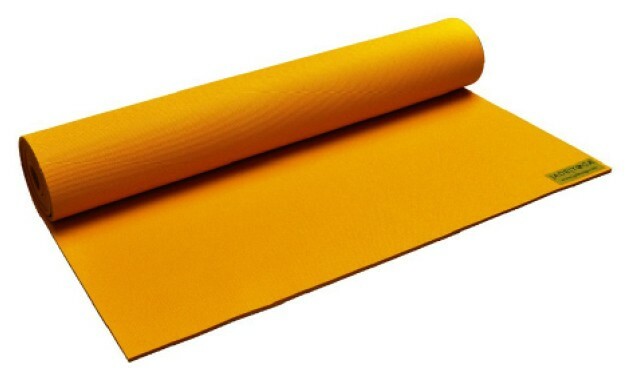 Barefoot Yoga’s Original Eco mat blends jute with natural rubber.